waterfalls like Kutralam falls and Papanasam falls in Tirunelveli district, Kumbakarai falls in Periakulam district and Suruli falls in Theni district in South India. I would like to say that in almost all our South Indian movies,the Film Directors shoot the love songs somewhere in the waterfall background either in India or abroad. 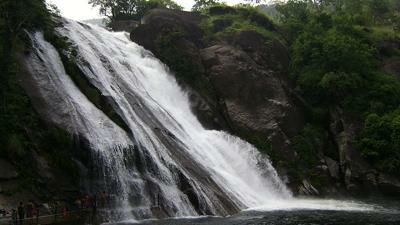 It gives pleasure to see in movies the various waterfalls of different countries where common people cannot easily go.